What’s the collective noun for ‘swarms’? It’s happened again! Now we have a third swarm. 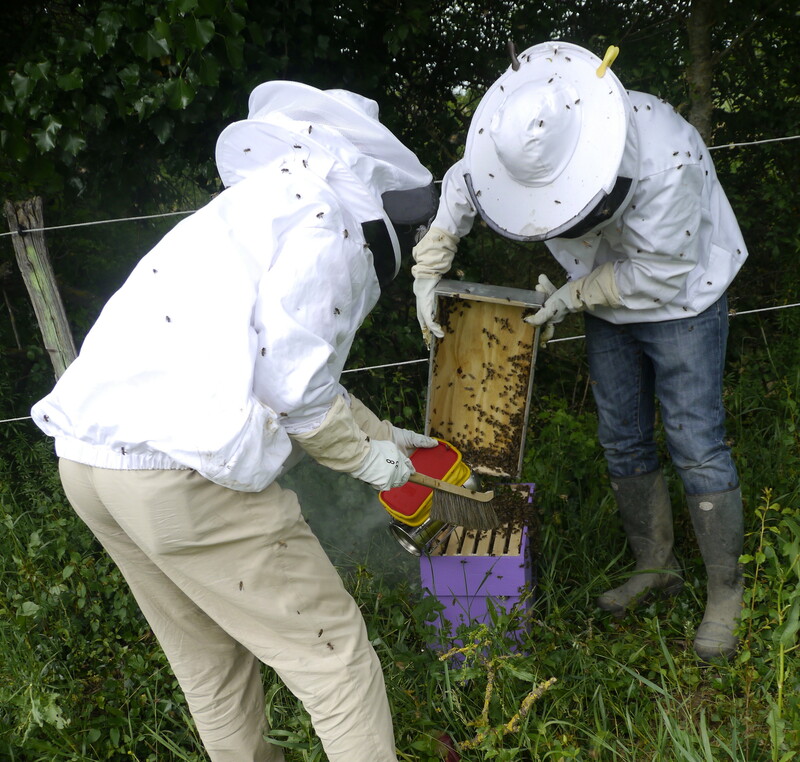 Just seven days after Jean-Philippe called to ask us to help with a swarm near his hive, he was ringing us again (on the Emergency Beeline). 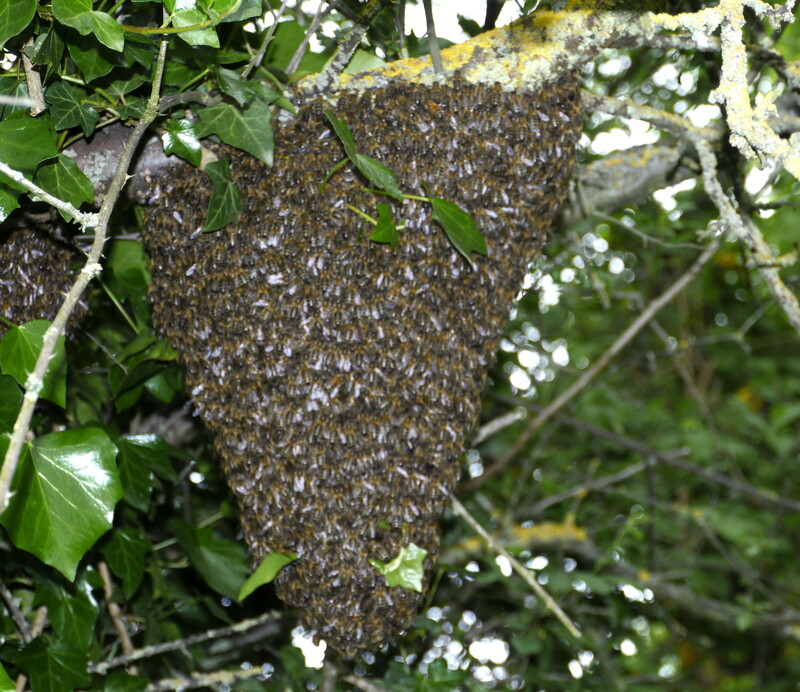 Another swarm cluster was developing in roughly the same place, already larger than the first. So, with the swiftness of a well rehearsed fire-crew, we bundled the necessary equipment into the Beemobile (a battered Renault Kangoo) and headed off to JP’s house, jesting that a yellow and black flashing light, complete with loud buzzing noise, would be appropriate. This swarm was slightly more awkward than the previous two, in that it was higher up and the branch it was attached to was too thick to cut with secateurs – so we had to employ the old Shake and Brush into a Hive Lid Technique. This swarm was also a bit more feisty than the others – however they settled quickly into the ruchette (nucleus), and immediately took up the offer of sugar solution. You may notice that we have discovered a new shade of hive paint – a rather attractive lavender colour. So, this year, we have gone from one hive each, to two for us and now four for Jean Philippe.